Offering you a complete choice of products which include cable management system. We are one of the leading manufactures, exporters and suppliers of vast collection of cable trays and other systems including Cable Management System that are vastly demanded by our esteemed customers and praised by them. Our range of these systems is tested by various parameters to meet industrial standards. 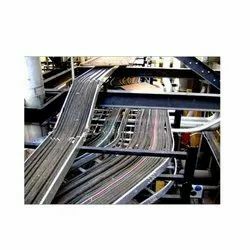 We are offering all these cable management systems on-time and promptly as per the customers’ specific requirements. Looking for Cable Management System ?